We are proud to service those based across the UK who require assistance with their swimming pool. We carry out works for a wide variety of people from individual home owners to national companies, councils. We had constant problems over the last two years with the pool leaking and many companies had been out to try and fix it, within a couple of hours of Ben being here he had fixed it! JB Elite services have been an absolute delight since day one, they've installed an absolutely cracking heat pump in to our pool, were very quick and even cleaned up after themselves, a real ten out of ten company. I have worked with JB Elite since April 2015. They are always prompt with deliveries of chemicals and react to issues we have with the pool resolving them quickly. Staff are polite and I would not hesitate to recommend them. Your FREE Guide to looking after your home swimming pool. 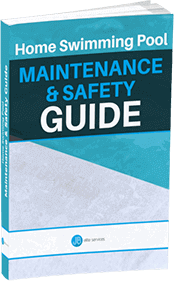 If you have a home swimming pool and need advice on safety and maintenance then this fantastic free guide is perfect for you!